Today’s society relies on an easy, reliable and quick access to environmental information in order to manage challenges such as sustainable development, urbanization, climate change, and disaster risk. This information is provided by various organisations and initiatives. Both the public and private sectors thus produce and publish data and information covering the needs within areas such as agriculture, forestry, fishery, environmental protection, landscape planning and natural risks and hazards management. People engaged in local community activities are able to capture local knowledge with the use of multimedia such as videos, photos and different kinds of sensor data. The collected information can contribute to tackle environmental and societal challenges in food production, forestry, fishery, risk management, air, soil and water pollution and contamination, landscape management, education and commercialisation. Needless to say, data and information varies in quality, have different formats, granularity, time resolution and so on. With the advent of satellite technology, web, and mobile technology, we are producing vast amount of data often described as big data. Volunteered geographic information (VGI) is the harnessing of tools to create, assemble, and disseminate geographic data provided voluntarily by individuals. 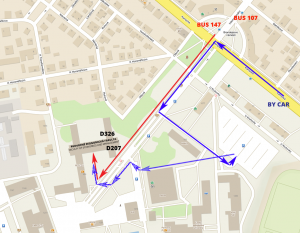 Recent developments in the sensor domain have led to a DIY (Do It Yourself) approach, using sensors based on low cost hardware, as well as an increasing availability of Bluetooth connected sensors that can be easily connected to a smartphone and together with existing smartphone sensors provide a large amount of spatio-temporal sensor data. Citizen observatories are community-based environmental monitoring and information systems. They build on innovative and novel Earth observation applications embedded in portable or mobile personal devices. This means that citizens can help and be engaged in observing our environment. Young generation representing smartphone users is one of the enablers of new geographic information based applications. Spatial information helps young generations to learn about relations to and with the environment, history and culture in different regions. Online sharing of spatial information goes beyond the linguistic barriers, which are one of the most important constraints for the communication between different regions. The open data movement covers many issues of using existing data sets without any limits or restrictions. Open data activities mean open-source, open-content and open-access. Open data sets are often provided by governmental bodies, but also by scientists or international organisations and bodies (e.g. European Commission, World Bank, Copernicus, Group of Earth Observations). 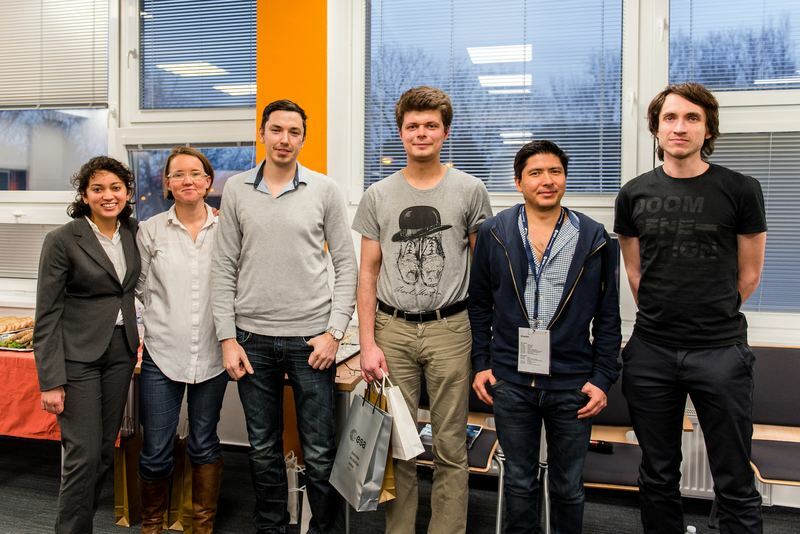 The Prague INSPIRE Hack is an INSPIRE Hackathon. 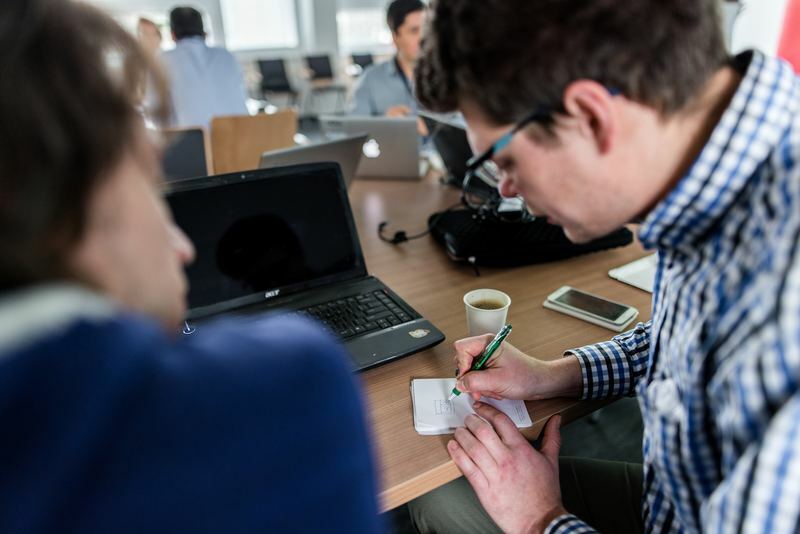 These hackathons start with virtual meetings and activities some weeks before a face-to-face meeting ends the hacking process. The awards ceremony concludes the hackathon. 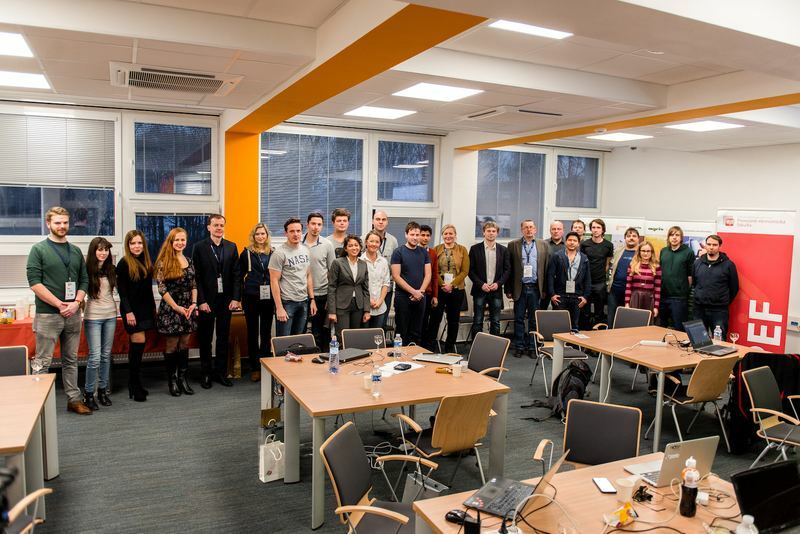 The Prague INSPIRE Hack starts by forming teams and suggesting ideas on a dedicated space made available after registration the 15th December 2017. 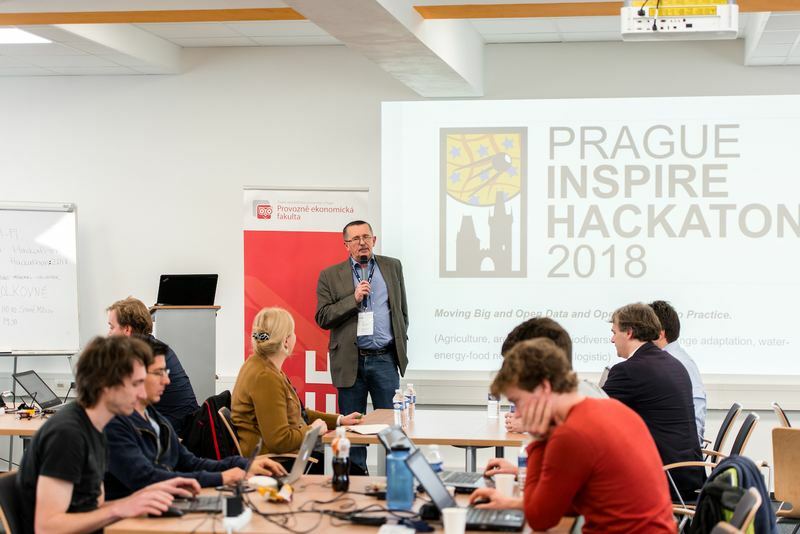 The face-to-face segment of the Prague INSPIRE Hack 2018 will take place at Faculty of Economics and Management Czech University of Life Sciences Prague (https://www.pef.czu.cz/en/ ), Kamýcká 129, Praha Suchdol, Czech Republic on 23rd and 24th January 2018. 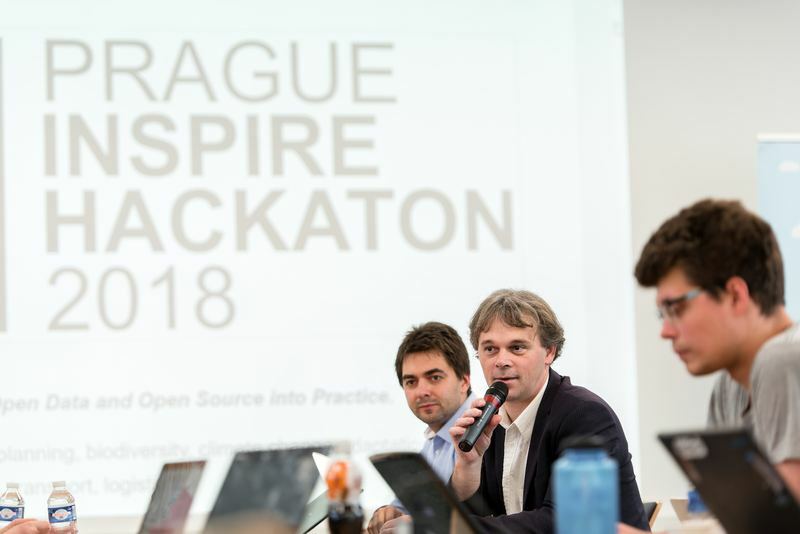 The Prague INSPIRE Hack offers a financial award (400 Euro) for the two best applications developed by students using one or more of the new tools: HSLayers NG, DAP, Mobile HSLayers NG or SensLog or by using at least one of the data sets from: Smart Point of Interests, Open Land Use, Open Transport Map. The best three projects from other applicants will be selected by the jury that will be formed during January 2018 and the winning teams will be awarded. This includes a live broadcast on social media, an interview (video/audio) with the winning team that they can use freely and that will be published in specified channels. The most creative use of a combination of INSPIRE compliant open data including space-based, in-situ, and citizen science/crowdsourced data will be awarded the INSPIRE Hackathon Award. 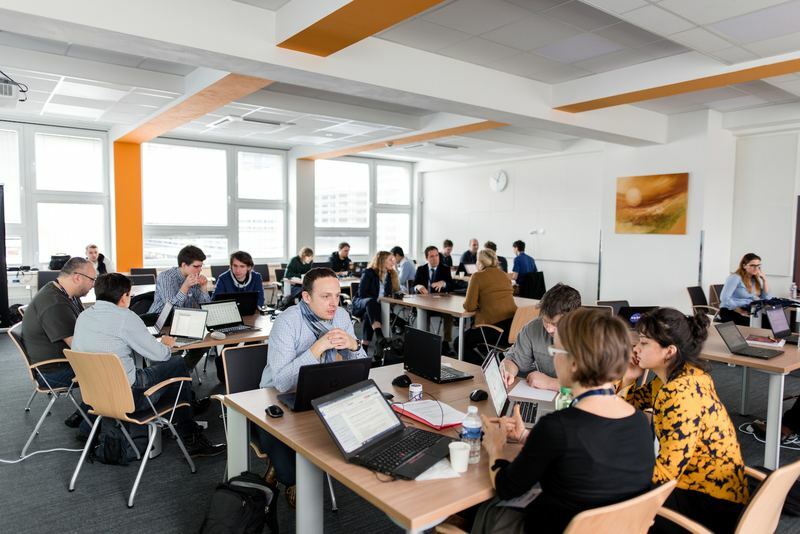 The best project design innovative service or product derived from EO data to solve the societal challenges that appeared due to climate change influence, will be awarded the EO ClimLab Award. Tuesday 23 Jan 2018, 12:00 – 13:00 Francisco Buján (CARSA) Invitation to the WATIFY Matchmaking event May 2018 in Tuscany around the topic of sustainable precision agriculture. It will address technologies such as Big Data, IoT/sensoring and Earth Observation. Tuesday 23 Jan 2018, 13:00 – 14:00 Ondrej Svab (Ministry of Transport of the Czech Republic) Opportunities in ESA programmes. Participation at workshops is free and open also for people not taking directly part in the hacking activities. Registration is however required at https://goo.gl/forms/GfJrnhAldqwO5avi1. Department of Information Technologies (DIT) has been involved in the field of teaching and scientific research, collaborates with business, governments, and domestic and foreign universities. It participates in many domestic and international projects and is part of international teams tackling applied research. Its focus puts DIT among the most prolific departments of Faculty of Economics and Management Czech University of Life Sciences Prague (http://kit.pef.czu.cz/en/ ). Plan4all (https://www.plan4all.eu/) – Plan4all is a non-profit association sustaining and further enhancing the results of multiple research and innovation projects. It aggregates large open datasets related to planning activities in different specialisms areas transport, spatial and city planning, environment and tourism. Plan4all makes sure that open data are easily accessible for reuse, data are maintained and their quality is improved. DataBio (http://databio.eu/) – The data intensive target sector selected for the DataBio project is the Data-Driven Bioeconomy, focusing in production of best possible raw materials from agriculture, forestry and fishery/aquaculture for the bioeconomy industry to produce food, energy and biomaterials taking into account also various responsibility and sustainability issues. DataBio proposes to deploy a state of the art, big data platform “on top of the existing partners” infrastructure and solutions – the Big DATABIO Platform. The work will be continuous cooperation of experts from end user and technology provider companies, from bioeconomy and technology research institutes, and of other partners. In the pilots also associated partners and other stakeholders will be actively involved. The selected pilots and concepts will be transformed to pilot implementations utilizing co-innovative methods and tools where the bioeconomy sector end user experts and other stakeholders will give input to the user and sector domain understanding for the requirements specifications for ICT, Big Data and Earth Observation experts and for other solution providers in the consortium. 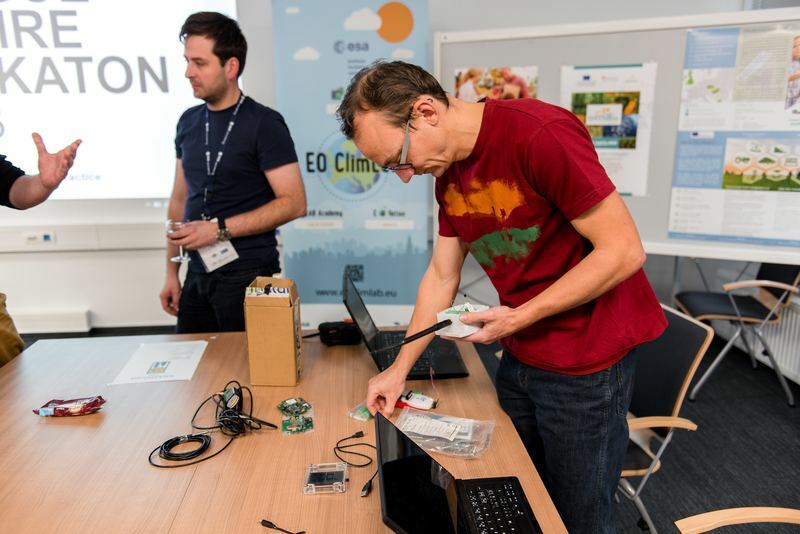 EO ClimLab (http://eoclimlab.eu) – EO ClimLab (Earth Observation Climate Laboratory) is a project organised by the ESA (European Space Agency) for central Europe. The ESA aspires to foster the next generation of EO data-driven digital start-ups in Europe. In order to initiate the development of a European network of such start-ups, the project would provide innovative EO-based information services addressing climate resilience. 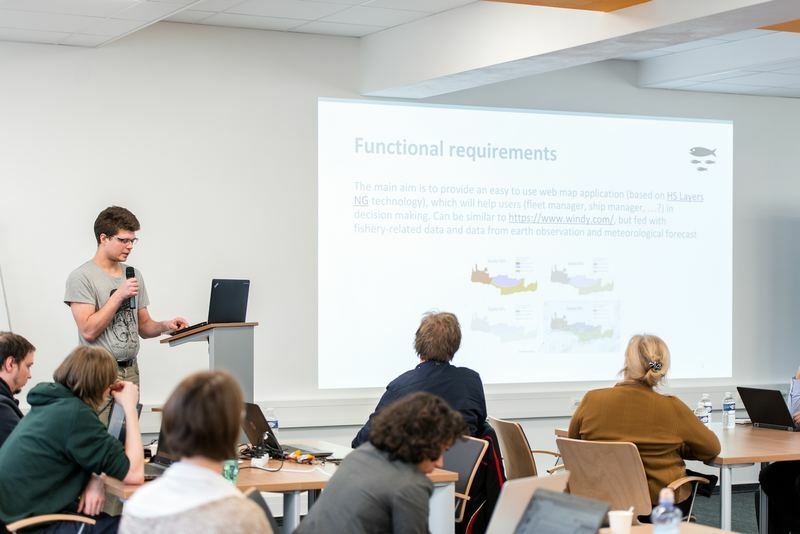 The EO ClimLab is a collaborative research e-environment enabling the rapid development and prototyping of new Earth Observation (EO)-based products aiming to support adaptation and mitigation to climate change across multi-disciplinary societal and business themes (e.g. agriculture, health, risk management, infrastructure maintenance, education, outreach). NextGEOSS (http://nextgeoss.eu/) – The NextGEOSS project will implement a federated data hub for access and exploitation of Earth Observation data, including user-friendly tools for data mining, discovery, access and exploitation. This data hub will be supported by a strong commitment to the engagement of Earth Observation and related communities, with the view of supporting the creation of innovative and business oriented applications. The main general objectives for NextGEOSS are to 1) Deliver the next generation data hub and Earth Observation exploitation for innovation and business; 2) Engage communities, promoting innovative GEOSS powered applications from Europe; and 3) Advocate GEOSS as a sustainable European approach for Earth Observation data distribution and exploitation. NextGEOSS engages main providers of Earth Observation data, including Copernicus Collaborative Ground Segments and Core Services. 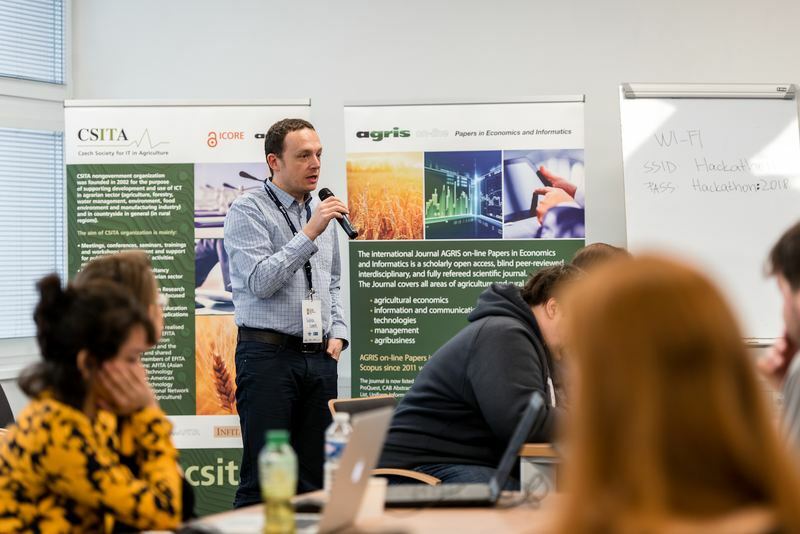 SKIN – (Short Food Supply Chains Knowledge and Innovation Network) – is an ambitious initiative of 20 partners in 14 countries in the area of Short Food Supply Chains (SFSCs). It intends to systematise and bring knowledge to practitioners, promote collaboration within a demand-driven innovation logic and provide inputs to policymaking through links to the EIP-AGRI. Partners will scout, analyse and classify a significant number of cases in different countries. “Good practices” (at least 100) will be systematised, processed into highly usable formats and made accessible to stakeholders via the web and through the set-up of regional nodes, to allow a deeper penetration of existing knowledge into practice. The work on good practices will also allow identifying key issues (hindrances or opportunities) around SFSCs. Such issues will be the main themes of 6 “innovation challenges workshops” the purpose of which is to stimulate stakeholders to propose new ideas for innovation based research or innovation uptake. These will be supported in a coaching phase where consortium partners deliver guidance to stakeholders for the full development of those innovative ideas. EUXDAT – Agriculture is a, literally, vital industry. Not only important for nourishment, but also a key determinant of health, economic and political stability; employment; business and biological ecosystems; and society. Because of its importance, most attention focuses on productivity but it is essential to have a global view in order to address environment sustainability problems. EUXDAT proposes an e-Infrastructure, which addresses agriculture, land monitoring and energy efficiency for a sustainable development, as a way to support planning policies. In order to do so, we need to address the problems related to the current and future huge amount of heterogeneous data to be managed and processed. EUXDAT builds on existing mature components for solving them, by providing an advanced frontend, where users will develop applications on top of an infrastructure based on HPC and Cloud. The frontend provides monitoring information, visualization, different parallelized data analytic tools and enhanced data and processes catalogues, enabling Large Data Analytics-as-a-Service. EUXDAT will include a large set of data connectors (UAVs, Copernicus, field sensors, etc. ), for scalable analytics. As for the brokering infrastructure, EUXDAT aims at optimizing data and resources usage. In addition to a mechanism for supporting data management linked to data quality evaluation, EUXDAT proposes a way to orchestrate tasks execution, identifying whether the best target is a HPC center or a Cloud provider. It will use monitoring and profiling information for taking decisions based on trade-offs related to cost, data constraints, efficiency and resources availability. The Prague INSPIRE Hack is a part of the INSPIRE Hackathon movement (link to INSPIRE Hackathon mission statement, also with a river ith tributaries image to illustrate how other hackathons contributes or are part of the “INSPIRE hackathon movement”,making the output or results from the hackathon sustainable, or contribute to the sustainability of the results…. INSPIRE CKAN extensions (https://github.com/CCSS-CZ/ckan-ext-inspire) – These extensions are designed for work with INSPIRE metadata in CKAN. Inspire_harvester – This module extends csw_harvester and spatial_metadata extensions to support harvesting of all INSPIRE required metadata elements from CSW 2.0.2 ISO AP 1.0. Inspire_theme – This extension enables: Display INSPIRE metadata user friendly form at CKAN interface. Export INSPIRE metadata in extended GeoDCAT-AP 1.0 RDF format. SensLog (http://www.senslog.org/) – SensLog is solution for static as well as mobile sensors and VGI. SensLog is web-based sensor data management system. SensLog is a solution that is suitable for static in-situ monitoring devices as well as for mobile devices with live tracking ability. Publishes data through system of web-services to other Front-End Elements, or to other applications. SensLog provides system of web-services exchanging messages in JSON format or provides standardized services using core methods of OGC SOS version 1.0.0. The latest version of REST API is following CRUD schema. HSlayers Cordoba (https://github.com/hslayers/cordova) Support of mobile platforms is important feature of HSL-NG development. Desktop HSL have responsive design but we are also working on special mobile application using Apache Cordova framework. Current version brings big part of HSL functionality (e.g. compositions, layer manager, search). One of goals is to enable collection of data in terrain (VGI) for projects based on HSL-NG. NiMMbus (http://www.opengis.uab.cat/nimmbus) – NiMMbus is solution for storing geospatial resources on the MiraMon cloud. 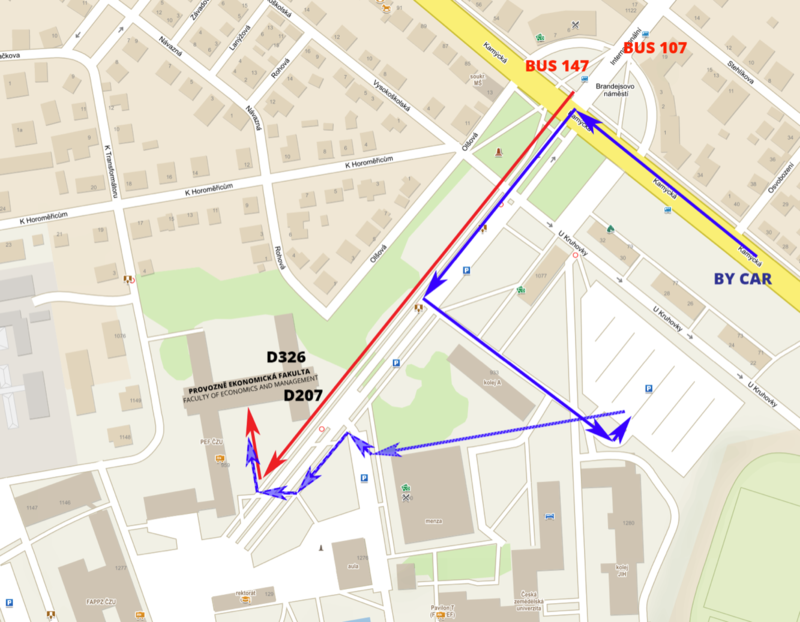 NiMMbus is contributed to the hackaton as a geospatial user feedback storing tool. The system implements the Geospatial User Feedback standard developed in the OGC (and started in the FP7 GeoViQua project). This implementation in it using an API developed in the H2020 NextGEOSS The system allows to creating a citation of an external resource and then associate feedback about it. More information on how to use it and how to integrate in a metadata catalogue it can be seen at the https://github.com/joanma747/nimmbus. 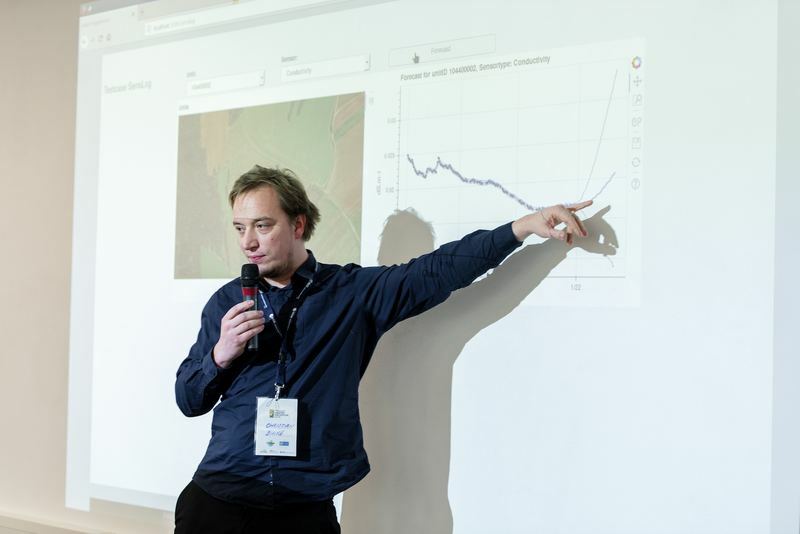 Data Analytics Platform for climate resilience (DAP) (https://platform.eoclimlab.eu) The EO ClimLab Data Analytics Platform is a collaborative research environment ingesting, processing, storing and disseminating data and metadata. It provides a new innovation area enabling development of new Earth Observation services, algorithms, software and applications aiming to support adaptation and mitigation to climate change across multi-disciplinary societal and business themes (e.g. agriculture, health, risk management, infrastructure maintenance, education, outreach). The platform is available for everyone interested in climate change issues. The Smart Points of Interest data set (http://sdi4apps.eu/spoi/) is the seamless and open resource of POIs that is available for other users to download, search or reuse in applications and services. Its principal target is to provide information as Linked data together with other data set containing road network. Open Land-Use Map (http://sdi4apps.eu/open_land_use/)is a composite map that is intended to create detailed land-use maps of various regions based on certain pan-Europen datasets such as CORINE Landcover, UrbanAtlas enriched by available regional data.